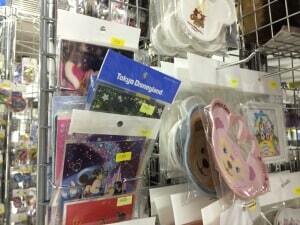 Tokyo Disney Resort is well-known for its merchandise that changes constantly. With this abundance of merchandise being pumped out on a monthly basis, where do people put it when they are finished? The answer is Nakano Broadway (中野ブロードウェイ) in Tokyo. 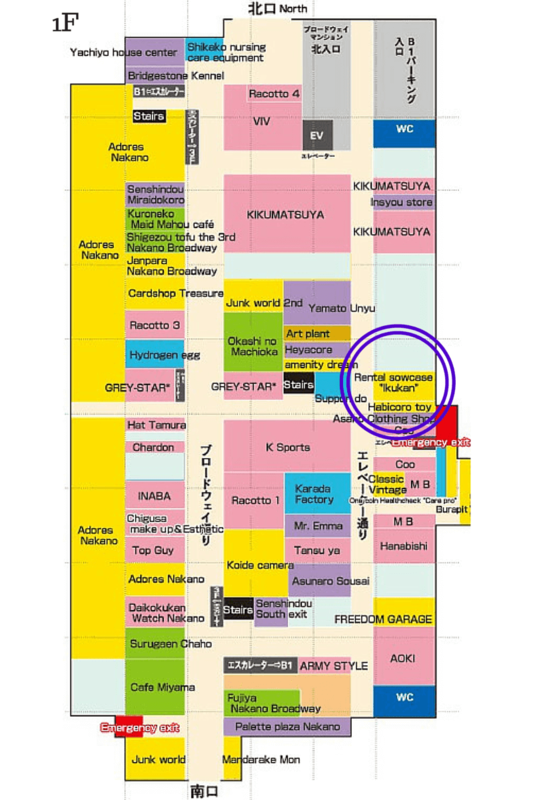 This 4 story complex is an excellent alternative to Akihabara (which is well-known for its “otaku” culture), with everything you would ever want in a single mall. Many people bring their used (or sometimes even brand new) Disney items to the many stores in this shopping complex to offload them. 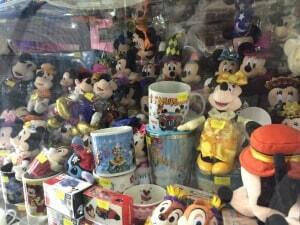 This shopping complex is a haven for Disney Collectors. 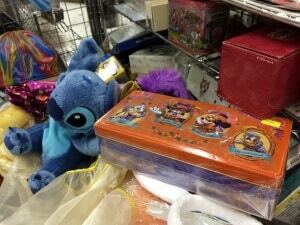 If you can collect it, you can likely find it at one of the many stores carrying Disney merchandise. From pins, popcorn buckets, kitchen ware, stuffed animals (which includes Duffy of course), and anything else you can dream up – if you’re looking to add unique or discontinued merchandise, then you’ll want to make the trek to Nakano Broadway in Tokyo. Follow our guide to learn which stores are worth your time and what they typically carry. We went through all the stores and made a list of which stores sold what types of merchandise! We did all the legwork, so you can spend more time finding that perfect Disney item. 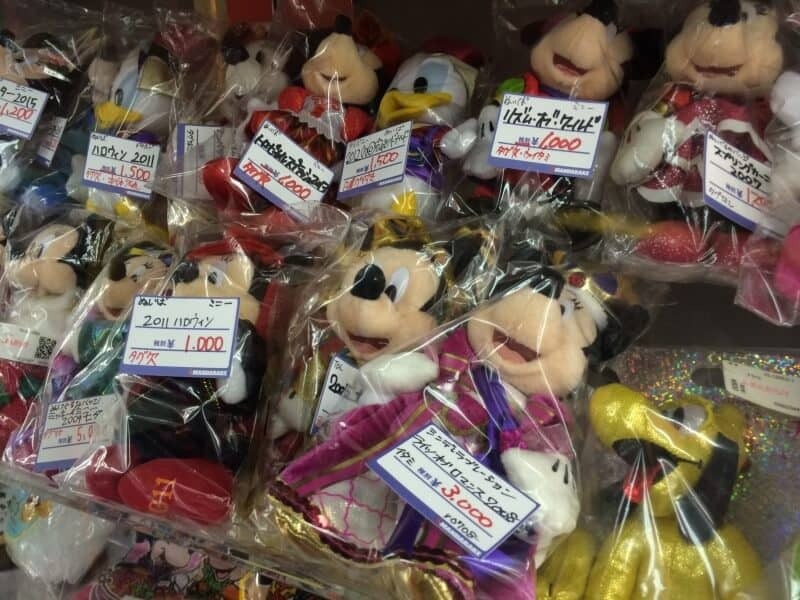 Don’t miss our guide to saving money on Disney merchandise in Japan too! Since these are used stores, the merchandise will vary. We cannot guarantee the stores will carry specific items. They do carry certain types of merchandise but if – such as – you’re looking for a pin from Summer 1992 at Tokyo Disneyland, that is a bit tough. Just keep that in mind when you are visiting these stores. You do sometimes however find things you never knew existed, like this Mickey Waffle Coin purse I picked up a while back. Easily my favourite item I have found there. Nakano Broadway is a short 5 minute walk from Nakano Station – serviced by JR Rail’s Chuo Line (one stop from Shinjuku station). You can hop on the local, rapid, or most express trains. Go out the north exit of Nakano Station and walk down Nakano Sunmall, which is a 225 metre long covered shopping street. 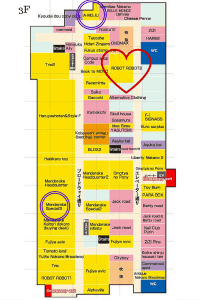 It has cafes, restaurants (including a McDonald’s), pharmacy, arcades, sushi joints, etc. I recommend taking the time to explore the shops here too. At the end of Sunmall is Nakano Broadway, you cannot miss it. 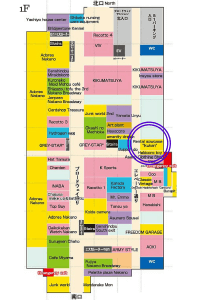 Once you get there, grab a map so you can cross reference it with what we are about to tell you (unfortunately they only have Japanese language maps). Now that you know how to get there, which stores should you be ravaging? Many of these stores are locally run (a few are chains) so the use of credit cards is hit or miss. We highly recommend bringing Japanese Yen with you. This makes your life easier. The basement floor has a 7-11 ATM which works with most foreign debit and credit cards (check with your bank first). 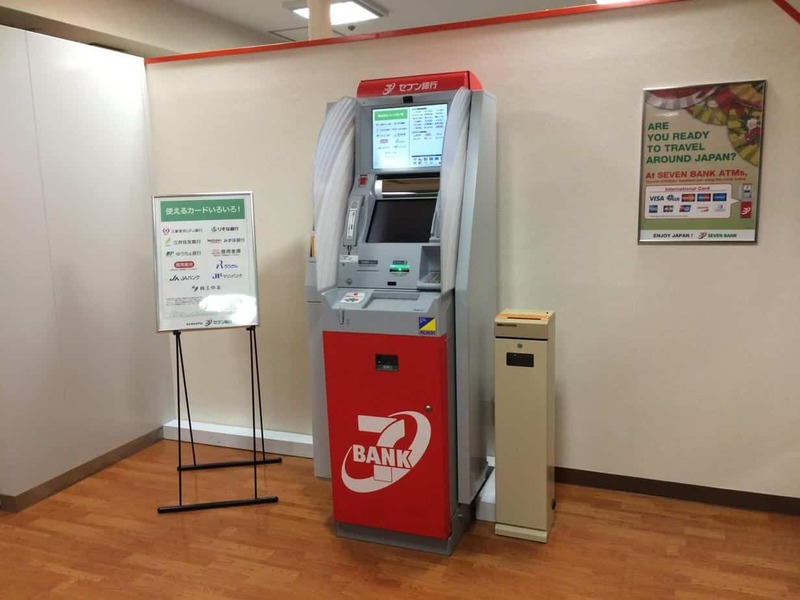 7-11 ATM is found in the basement of Nakano Broadway. If you need to pull out money. 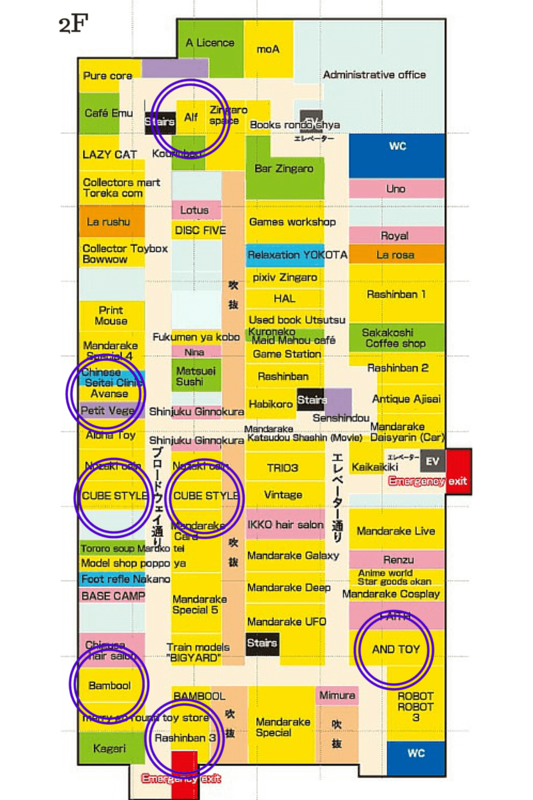 The stores listed below are through floors 1F to 3F. We have circled all the stores for you in the images below. 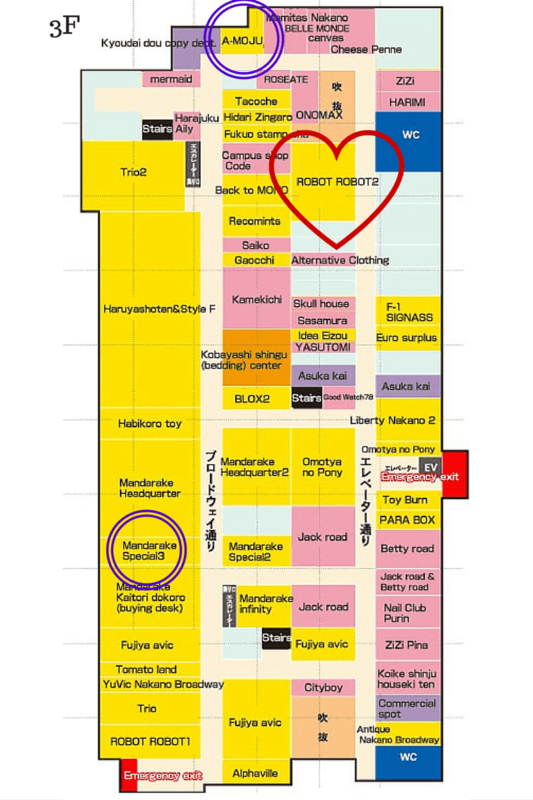 These maps are found on the official Nakano Broadway website. These stores are ones which we found carried a fair amount of Disney Merchandise from not only Tokyo Disney Resort but the other parks around the world. Tokyo Disney Resort is by far the most common. Keep in mind that these stores may change (or close). Duffy fans take note of this store and make it your first stop. They sell a variety of Duffy merchandise ranging from stuffed badges, costumes, to souvenir plates. They even carry the latest Duffy merchandise, so if you do not want to pay for a park ticket, then this is your best bet. The newer items are marked up, but that is expected. This site specializes in Star Wars figurines. If you’re looking for something specific to Star Wars (new and old) then this place is perfect. If you’re looking for custom designed Duffy costumes, then you definitely want to check out BAMBOOL. A variety of custom-made costumes you cannot find anywhere else. They also carry a lot of Chip N Dale and Clarice merchandise. Along with old figurines you cannot find anymore. 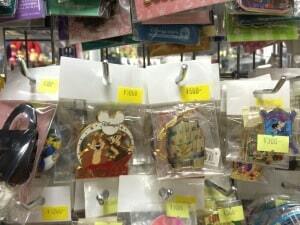 Tons of discontinued Disney memorabilia from parks around the world. The original Duffy the Disney Bear is found here along with Tsum Tsum and trading cards. Mainly focused on Walt Disney World and Tokyo Disney Resort. This site is split into two stores which are directly across from each other. 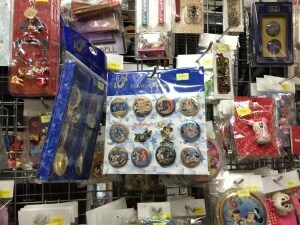 Disney Gachapon prizes (toys you win from the bubble capsule machines) and stuff character badges (keychains). A tiny store with tons of small items for you to rummage through! 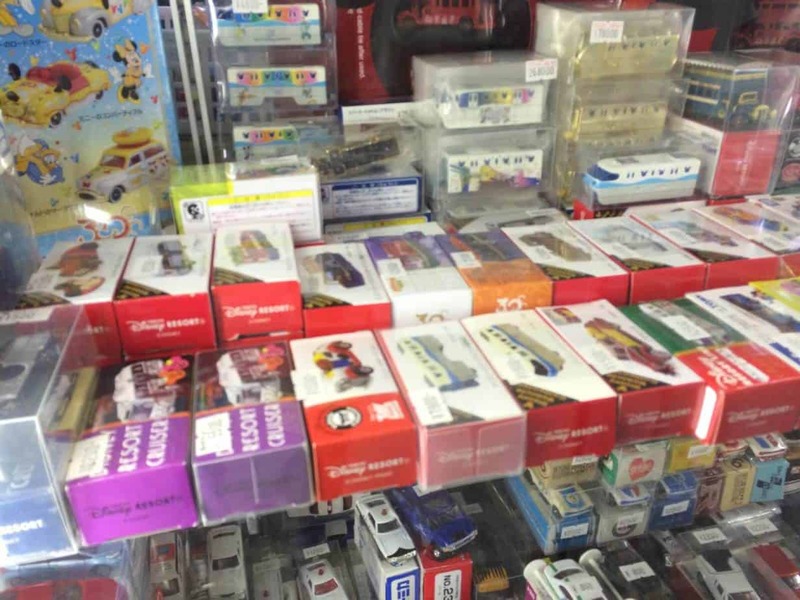 Fans of Tomica cars cannot miss this store. They carry a variety of Disney Tomica. 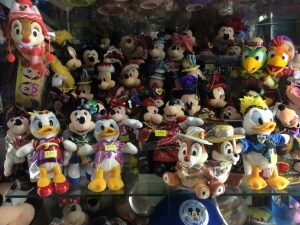 Similar to Abanse (listed above) they carry a ton of Disney Gachapon toys. Way in the back of the store is a display case with a variety of Disney merchandise. From oversized plush from different Tokyo Disney Resort events to souvenir plates, and of course Duffy. If you’re a fan of the hard-to-get figurines which are exclusive to Tokyo Disney Resort, this place usually has them. 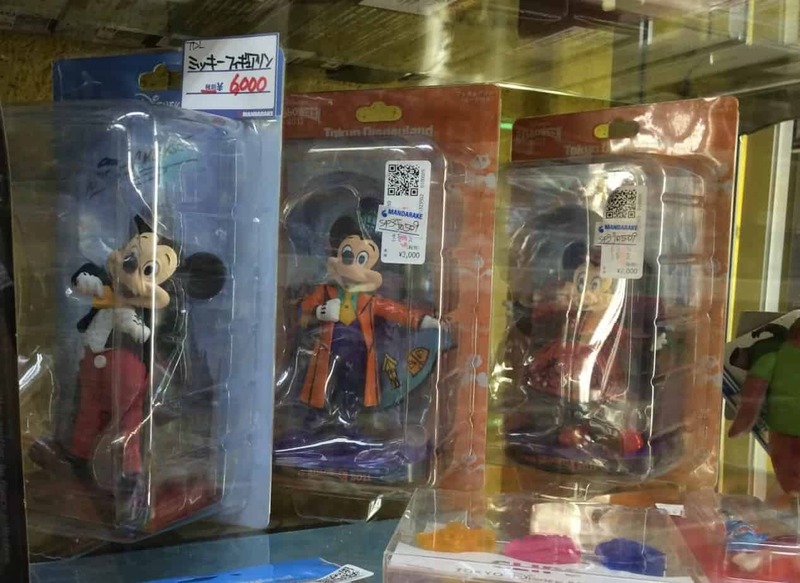 You may even find these exclusive Tokyo Disney Resort Figurines! 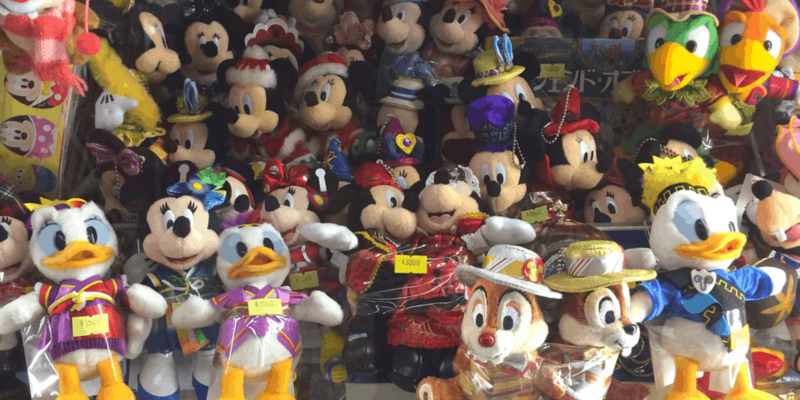 Tons of discontinued plush from Tokyo Disney Resort! Disney Pez Figurines, that is all you need to know! If it was sold at Tokyo Disney Resort, you can find it here. 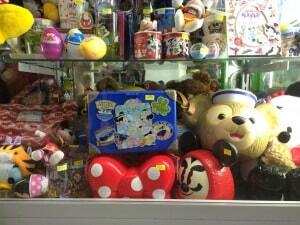 Tokyo Disney Resort plush, cups, and a variety of other merchandise. The amount of pins is staggering. You will certainly find something you like. There are a few used music stores on floors 1F to 4F. When you head in there, simply ask for “Tokyo Disney Resort Music” and the staff should understand what you mean. A lot of places do have people who speak a level of English. Music from the Resort along with Japan Exclusive CDs are found at these stores! 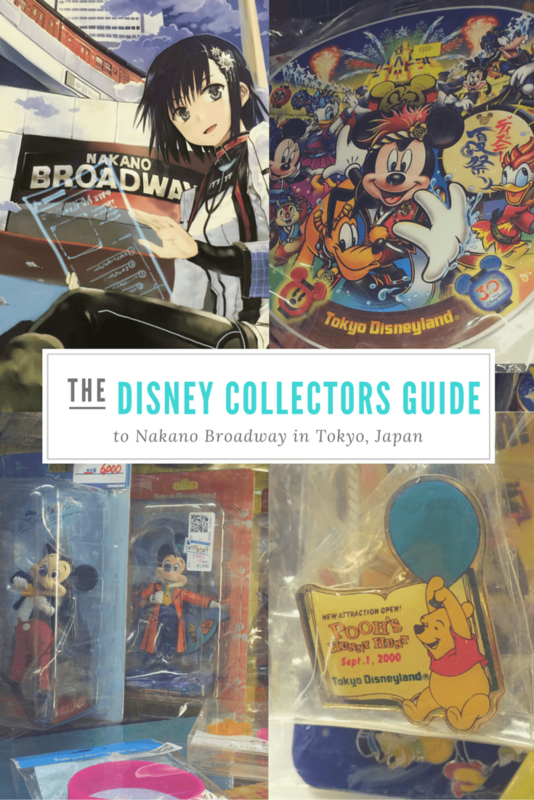 Nakano Broadway is well-known spot for Disney fans in Japan, now you know all the ins and outs of this mecca for Disney Collectors! If you have visited before, what was your favourite find? Show us in the comments! 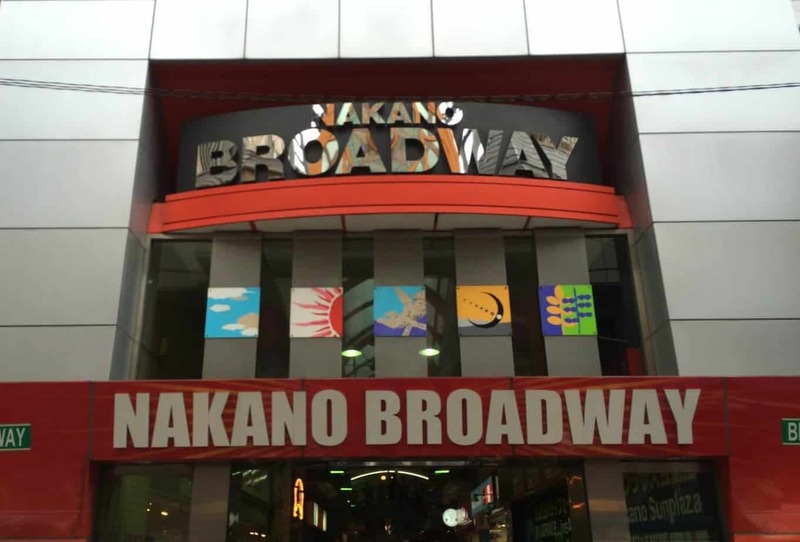 More information Nakano Broadway is found on Japan Guide and Tokyo Cheapo. Good article! I trekked out to Nakano Broadway during a visit to Japan in 2012 and a guide like this would have been very helpful. Thank you for reading! Nakano Broadway is a maze at the best of times. I wanted to dull the pain of trying to find Disney merchandise in all the stores. I found some pretty awesome gems there over the course of time. 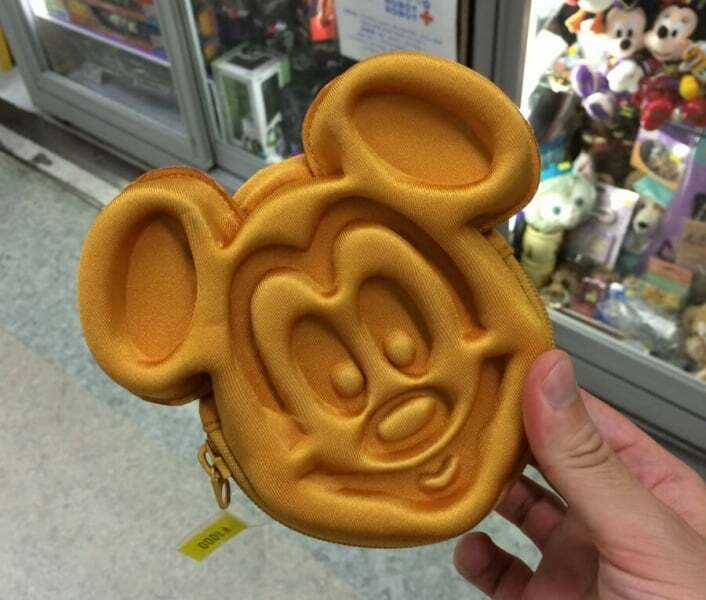 The best being the Mickey Waffle coin purse I showed above! Hi. Very nice article! 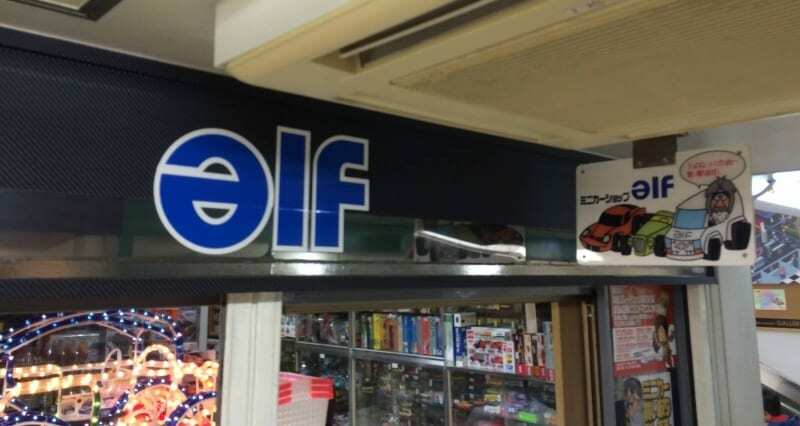 I’m Japanese but I didn’t know there shops! “Mandrake 3” is “まんだらけスペシャル3”. “スペシャル” is “Special” in Japanese. Great article – planning our first trip soon and plan on buying a lot! 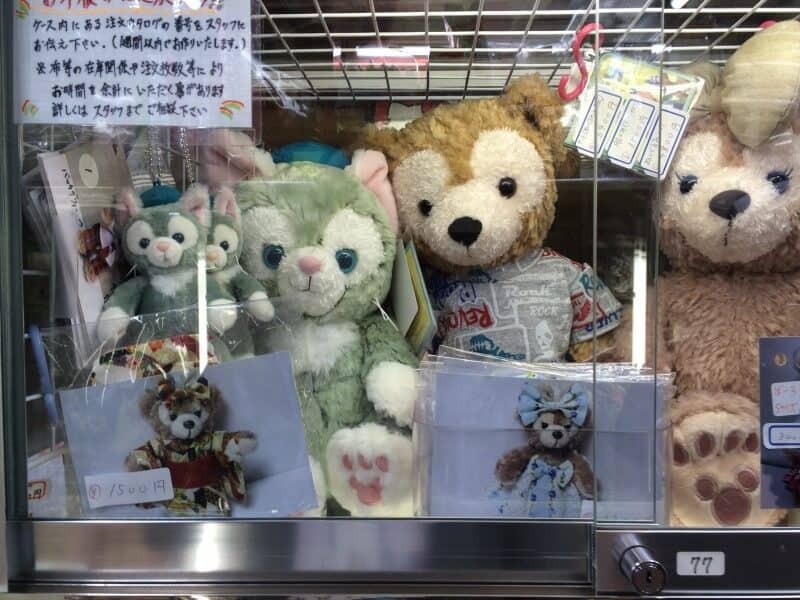 Would Nakano Broadway be a good place to purchase discounted outfits for Duffy (and his friends)? 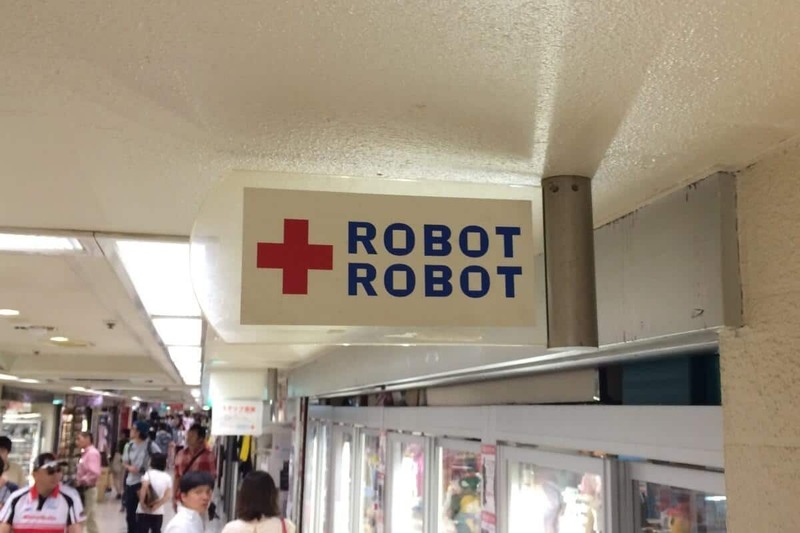 I can see a couple in the Robot Robot 2 photos, but I can’t see the prices. It depends on the shop, but I noticed most were more than retail since they are no longer available at DisneySea. Meaning they go up in value. Awesome, thank you! My Duffy will continue to be “bear” in that instance since the outfits are so expensive. Nice article. Anyone try to sell items to these shops? Old pin collections etc…which ones buy? Is it worth bringing things overseas to off load the old and get some new cool stuff? Visited yesterday, amazing place. Robot Robot has very few pins now though. Mandarake 3 had a few.